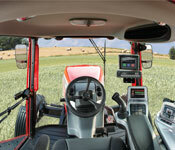 Purchasing farm equipment is a major investment. 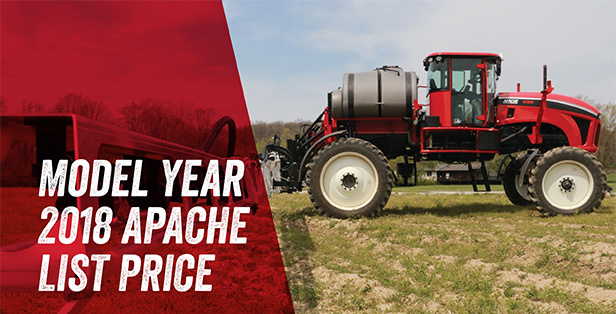 Apache Sprayers helps ease the pain on your pocketbook by starting at tens of thousands of dollars less than the competition. But don’t be fooled—lower price doesn’t mean lower quality. Apache is the best pound-for-pound sprayer on the planet. Owning one simply means you’re getting more BOOM for your buck. So run the numbers—then run with us! 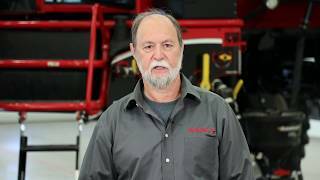 List price is based on a sprayer with fenders, premium leather seat, 100 foot boom, Viper® 4, AccuBoom™, UltraGlide AutoBoom® and SmarTrax™ AutoSteer. Power-to-the-Ground™ HP per 1,000 lbs is calculated by: hp x efficiency ÷ weight x 1,000.